If you’re thinking of renting out your house, consider this. 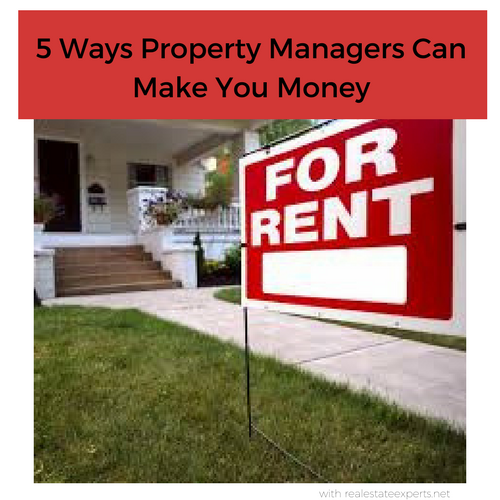 Residential property managers can help make and save you money in these five ways. Property managers can help minimize vacancies in your rental property. Decreasing vacancies by finding long-term tenants is a way property managers can help you save and make more money. What’s more, is that property managers can help reduce turnover. Turnovers cost money! Paying for advertisement and the cost of fixing any prior tenant damages certainly strains your wallet. One of the biggest turnoffs in owning a rental property is that you may not always have tenants. Which is to say, you won’t always have money coming in from your investment. There are a whole host of laws pertaining to the rental market. If you don’t abide by these laws, it’s possible you can run into legal trouble. The best property management companies knows these laws, and might even have legal consult on their staff! 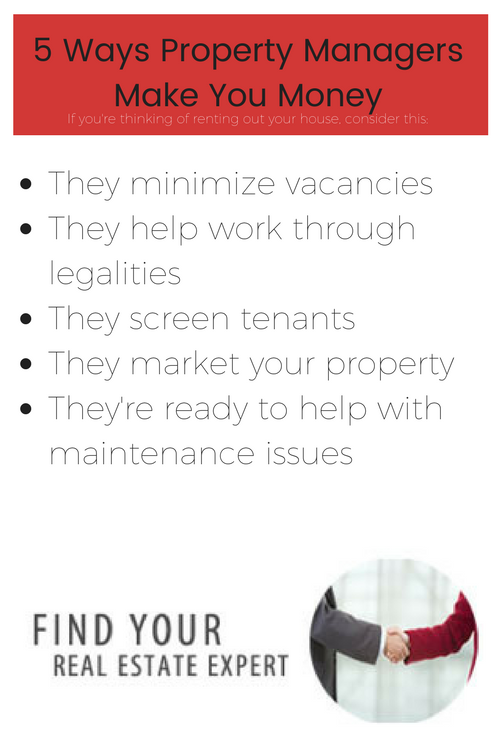 Most property management companies will use a screening technique to make sure your investment is rented out only to the best tenants. That way, they can protect you from legal issues like a violation of the Fair Housing Act. Being a landlord is, essentially, like running a business! Having a property manager means you’ll have a hand in marketing your “business”. The best property management companies have been through the process many times, meaning they’ll be able to effectively market your property because they’ve got experience and they use the latest technologies to reach a maximum number of tenant prospects. Some property management companies’ include maintenance costs in their management fees. Why not take advantage of that? The best property management companies have a network of contractors who can take care of the maintenance issues for you. A network of contractors can also be useful in getting discounts, especially as the management company will need a contractor for more than one property. At Real Estate Experts, we do things to set ourselves apart from other property management companies. The foundation of our business is that, “no rental property is going to get beat up on our watch.” To ensure this does not happen, we do something that no other property management companies do; we inspect the outside of the property monthly and we go inside quarterly. Maintaining your investment is our highest priority. An in-depth interview with you allows us to modify a lease to accommodate your specific property needs and keep you protected. All advertising, property showings, credit-criminal checks for quality tenants is our mission. We provide you with a monthly income-expense report along with your monthly check. We answer your tenants’ calls 24-hours a day, 7-days a week. Take care of any and all maintenance issues. The best news, we do not charge an upfront management fee like other property management companies. Call us and ask us about our fees and what we do to attract Realtors to show our rental listings. We do above and beyond to bring our property owners the best service possible. We look forward to hearing from you!